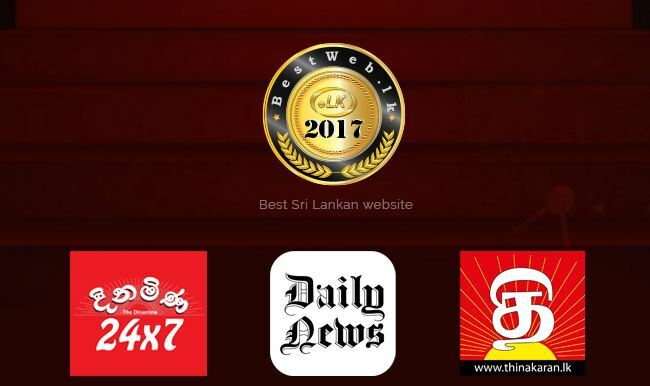 The digital arm of the Associated Newspapers of Ceylon Ltd. won four awards at the Best Web.lk event organised by LK Domain Registry. www.dailynews.lk won a Merit award in the Best Media, Sports and Entertainment category, www.dinamina.lk won a Merit award in the Best Sinhala Language Website category and www.thinakaran.lk won Bronze in the Best Media, Sports and Entertainment Website category and Silver in the Best Tamil Language Website category. Best Web.lk - now in its seventh year - judges Sri Lankan websites on creativity, content and technical achievements. The Panel of Judges is made up of industry experts with broad web expertise.